Searched for a while but couldnt find exactly what I was looking for. From what I understand the awd have a 10 bolt rear and the 2wd have a 14 bolt. 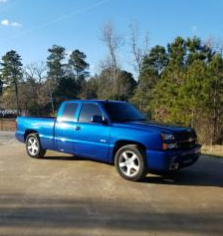 Will a regular 2wd driveshaft out of an 03 extended cab Silverado work? Also do I need any sort of transmission crossmember?